Munich is an excellent airport to start your vacation. Very convinient connections from all over the world and just a short drive to basically any ski resort in Austria, Switzeland, Italy or Germany. But when it comes to ground transportation the choice of a professional transfer service is the key to a relaxing holiday. 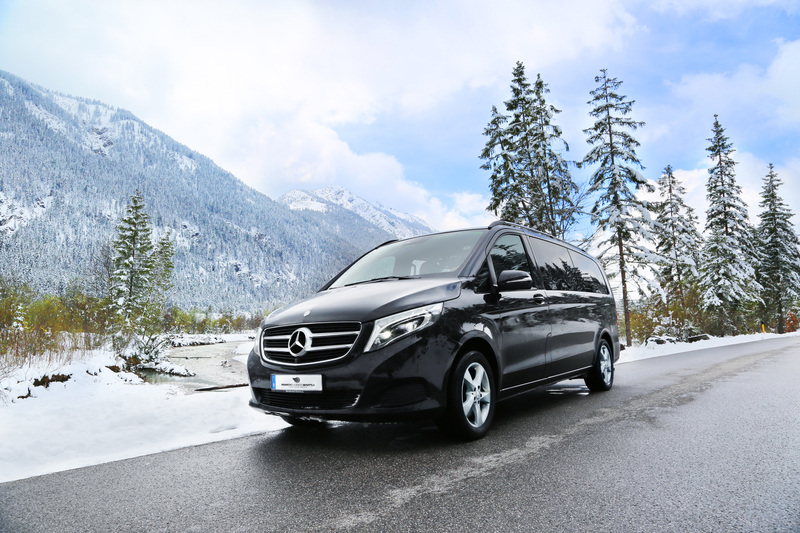 Our exclusive Munich-ski-shuttle service does not cost much more than a taxi or a rental car for one week – but offers you more service and comfort. We will make you an offer and you can compare with other offers. Or visit directly our partners of Munich-Ski-Shuttle online! All you have to do is lean back and enjoy the beautiful scenery along the way. Let us take care of your luggage and the driving. Time is precious and we want you to enjoy each second during your vacation! Ski Shuttle Munich: Reliability and personal service – our promise! We work with our own fleet to guarantee a steady service of high quality. We are not selling transfers to other suppliers. As a family run business we maintain a personal and individual contact to our clients. With our chauffeur service we offer you more than just a safe journey from Munich Airport to your ski resort in Austria, Switzerland or Italy. Choose the black limousine or the business van with your personal driver and the holiday starts as soon as you sit in the vehicle.